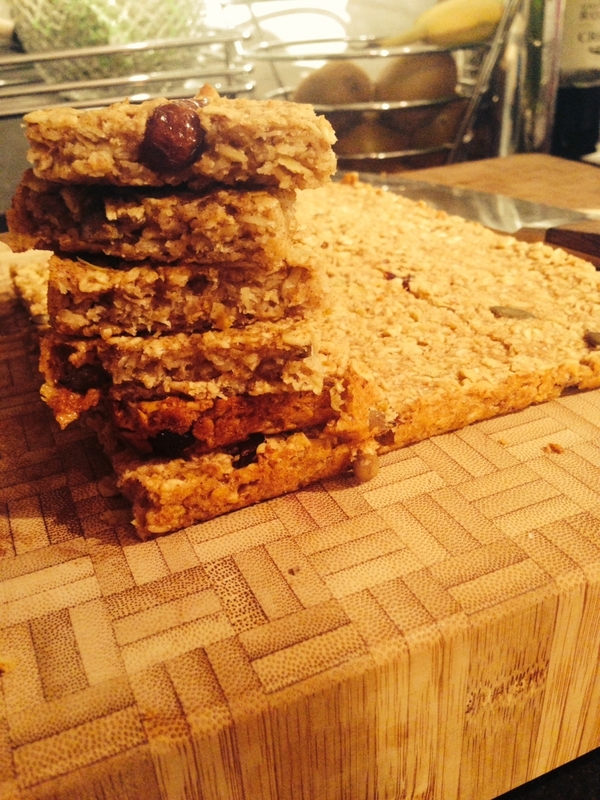 These flapjacks are tasty enough for the kids to be satisfied, and if they are happy then something must right!! My boys (including my BIG boy) are my biggest critics. I hope you all enjoy them to. Preheat the oven to 180oC and grease a 20cm square tin with coconut oil. Quarter the apples removing the seeds and place them in a food processor unpeeled. Blitz them until they become a coarse puree. You may need to add a splash or two of water. Melt the coconut oil and honey together in a pan over a medium-high heat. Once they have combined add in the apple puree and stir well. Add the remaining ingredients and stir thoroughly to form a sticky mixture. Transfer the mixture to the prepared tin, pressing down well. Bake for around 20 minutes or until the top is golden brown. Allow to cool completely before cutting into squares.